Looks like Gumby and the StayPuft Marshmallow Man had some kids. Illegitimately. When I saw this stumbled upon this site, it was pretty obvious that it needed to go on our blog because here at “How To Be A Dad” revel in riding a line that’s a razor’s edge thin between adult and child. 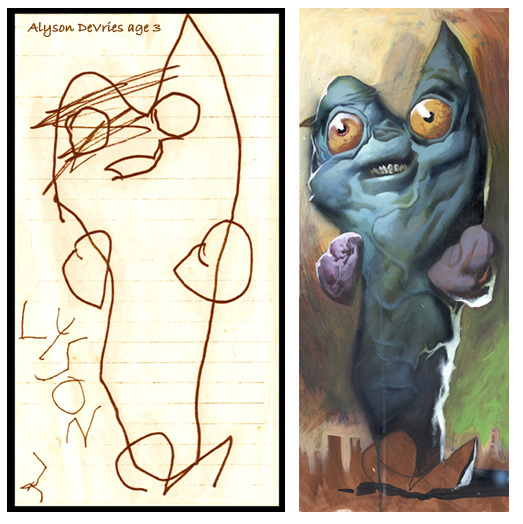 Behold: childhood drawings brought to life! Wow! Just goes to show that the phrase “now, I’ve seen everything” is an absolute impossibility when it comes to the internet. It is fully amazing. Wow!